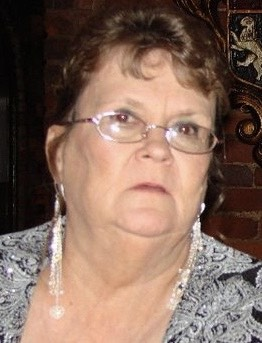 LABRIE, Paula S. (Phelps), 77, of West Warwick Manor, 62 Roberts Street, West Warwick, passed away Monday morning, January 21, 2019 at home. Born in North Kingstown, she was the daughter of the late Charles N. Phelps, II and Stella L. (Young) Phelps. Paula was a machine operator for many years at Concordia Manufacturing. She was the past president of the West Warwick Manor Tenants Association. Her enjoyments were cooking, crafting and chocheting and she loved her chihuahua, Lulu. She is survived by five children, Thomas Lagasse of West Warwick, Wendy Nault of Johnston, Chris Lagasse of Hope, Tina Almeida of New Bedford, MA and Bonni Sousa of Johnston; a brother, Robert L. Phelps of Coventry; sixteen grandchildren and fifteen great grandchildren. She was the companion of the late Byron E. “Sonny” Young, Jr. who passed away this past December and she was the sister of the late Charles N. Phelps, III, Denison F. Phelps, Gerald E. Phelps and Paul S. Phelps.